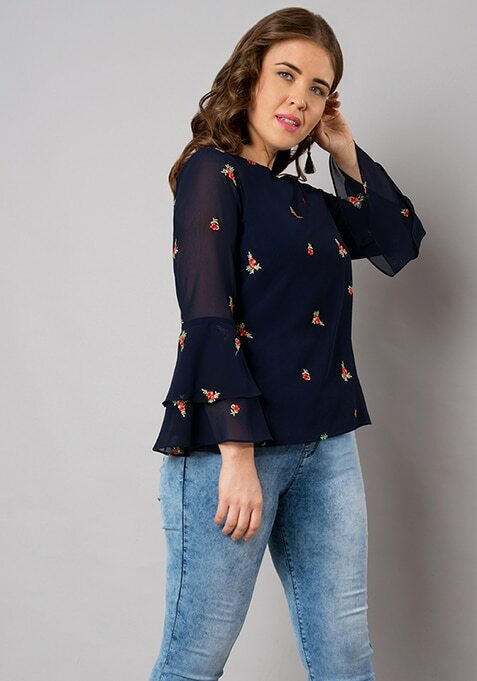 Simple yet impactful, this navy double bell sleeve top is a modern take on 70s style. Part formal and part casual, this top is done in all over embroidery. Work It: Wear it with ripped white jeans for a casual vibe and complete your look with strappy flats.